Hear me out for a second... it's actually the psychology behind it. As many of you know I am still on my own fitness journey trying to achieve the body that I want. This started back in February 2014. It's been nearly a year now and although I feel healthier, my skin is a million times better, I have more energy and I am much stronger, I look at my body and don't actually feel that 'different'. I was never unhappy with my body, it's a sack of meat that you use to walk around and do stuff in, so I think that's pretty awesome and you should be happy regardless. However because the changes in progress are pretty slow (you don't wake up slim after a week) and they fluctuated depending on how strict I was being with training and exercise it meant that when I looked at myself, and when people who saw me very frequently looked at me, they weren't noticing any changes. I only heard that I looked different when I ran into people I hadn't seen in a while, they would exclaim how much weight I had lost and that I look great, but again, I couldn't see it. This is where taking photos has come in handy and I love looking back through them every couple of weeks. 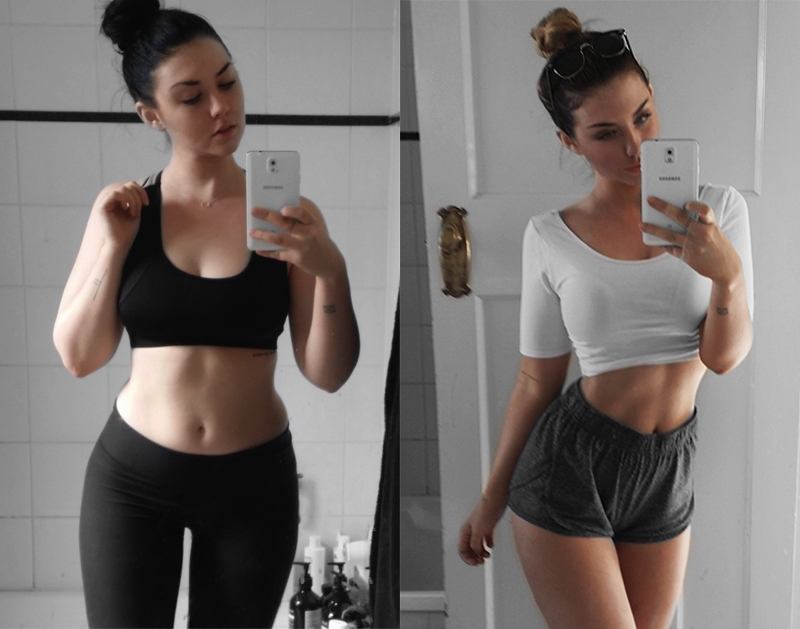 I think for your own motivation and to see the changes you have made you should take a photo of your body once a week, at the very least once a fortnight, to track your progress. It's great when you get measured or weighed and the numbers have come down, but in the end numbers and just numbers and you can't see what they look like unless you have photo evidence. Even if your aim is the opposite, to gain weight, or gain muscle, this is such a useful exercise for you to do. Most of us snap selfies anyway so just take one in your training clothes next time! It's not even about putting them up all the time either, I know most of mine remain unposted - I just keep them on my own phone for reference. Also a quick side note, to anyone who has registered for the challenge and hasn't received their 'Welcome to the 8 Week Transformation Challenge' email yet please check your junk/spam inbox and if it's still not there contact me: rachel@eatrunlift.me A few of the emails looked like they had typing errors and I use an external program to automatically send out the welcome pack emails. Registration shuts 9:00am AEST and the book is being sent out tomorrow night.